Nothing ruins the idyllic thought of walking or hiking outdoors quite like a barrage of blisters, crushed toes or damp caused by ill-fitting hiking footwear, which is why it's paramount for you to invest in the best hiking boots for the type of adventuring you want to do. At T3 we're pretty gadget crazy, but the truth is that while there all kinds of ingenious outdoors gear that can be useful when walking and hiking, whether you’re a walking minimalist or maximalist, the most important item is what you wear on your feet. Our selection of the best boots for hiking (below) will keep you warm, comfortable and safe throughout the seasons. Ill-fitting hiking boots will ruin your day and cripple you for weeks, but it's not all about fit. There are also different types of hiking boot for different terrains, and choosing the wrong pair for challenging conditions can have disastrous results that put you off getting out there and enjoying the great outdoors. The truth is, there are therefore several options available to you, depending on exactly what kind of hiking, walking, rambling or yomping you want to use these technical boots for. That's why we've considered a range of styles, features and tech when rounding up the 10 of the best hiking boots of 2019. Choosing the best hiking boots for every condition is pretty much impossible due to the sheer range of options and niche technologies to choose from. That said, if you want one boot that performs well across the board, the Scarpa Manta Pro is it. The Manta is the gold standard for all-season hiking boots, providing plenty of ankle support, a waterproof membrane and a stiff B2 rated sole. The latter is essential for winter use, where crampons may well be needed, but also allows ‘edging’ in less serious snow (and mud) conditions. The downside of this stiffness and rugged utility is weight, as well as potential to cause blisters if not properly fitted, so take time to get this bit right. From sunny Alpine holidays in Cham to blustery Cairngorm winter weekends, the Manta cruises the lot. Why do you need specific boots for hiking? Hiking boots, as a term, is a broad church, but the main reasons you’ll need some for the rough stuff are their blend of protection, grip and stiffness. Standard street boots – Doctor Martens, for example – might offer some ankle support by lacing up high, but a lack of ankle padding will cut you to ribbons on a long trek. Most modern hiking boots include a waterproof membrane, which will be useful when you head off the beaten track. In addition, hiking and mountain boots often incorporate a raised ‘rand’, a rubber buffer over the leather of the boot nearest the sole, which protects the boot from sharp stone cuts when walking across scree. Hiking boot soles will also be much stiffer than street shoes/boots to shrug off rough surfaces, incorporating aggressive tread for better grip on wet grass, moss or mud, and often cleverly-placed sticky rubber areas for extra grip on wet rock. That stiffer sole gets a grade from B0 to B3-B0 and below, making them fine for casual summer hikes, but too flexible for crampons. Meanwhile, B1-3 boots offer increasing levels of stiffness to accommodate increasingly technical rigid crampon use. This might sound excessive for the causal walker, but if you’re hill walking in the UK winter, opting for a stiffer crampon-compatible walking boot is highly recommended, as conditions can change fast. What are the most popular hiking boot technologies? In a nutshell, you're looking for boots that are luxuriously comfortable, unstintingly waterproof, heroically breathable, tank-like in their ruggedness, and offer as much grip as Spider-Man's socks. It’s essential to get the right rating for your hiking boot – wearing B3 double-boots for summer trekking will be hell, as will attempting the likes of Indicator Wall in Converse. Overall, you’re looking for ankle support from a boot – which in the hills can be vital when a stone shifts underfoot – but also a comfortable fit. A snug (not tight) fit minimises heel lift, as well as assorted blisters at ‘hot spots’ like heels and toes. When seeking out winter boots (B1+) this is particularly important, as a loose fit will see your toes smash into the toe box when using crampons, and the stiffer sole will also exaggerate heel lift unless the heel pocket fits just right. The accepted wisdom is to try on hiking boots in the afternoons, once your feet have expanded, and take a range of socks to try them on with. Thin office socks are helpful to show up any obvious shape mismatches and pressure points, before moving on to your preferred walking sock. Do experiment with sock fit as well as boot fit, as even the most expensive socks are cheap compared to boots, and some of the more specialised socks can make a real difference to your hiking comfort. Construction-wise, old-school full leather hiking boots are rare beasts these days, not only because of cost but also because they need months of ‘breaking in’ before extended use. Modern boots use a range of synthetic materials in addition to leather panels, so are much softer out of the box. Indeed, the latest thermo-fitted/NestFit models are pretty much ready to rock straight off the shop floor, although wearing around the house or to and from work is always a good idea before leaving on a major expedition. In short, the golden rule is to buy what fits, and a model that suits your main use. In terms of brands, at the more robust end of the spectrum La Sportiva, Scarpa, Mammut, Lowa and Aku all build boots that will shame a tank, while at the lighter, summery end Teva, Keen and Salomon bring considerable expertise to the table. The latest iteration of the genuine classic Scarpa Manta boot, the Scarpa Manta Pro is arguably the best hiking boot for four-season use on the market. It has been the benchmark four-season UK hiking boot for many years, so if you’re planning a walk involving any of the UK’s mountain terrain, these should be top of your list. Fully crampon compatible (rated B2), this newest iteration brings improved impact absorption via a TPU crampon plate and PU shock absorbing insert, plus enhanced ankle support from Autofit Collar and Speed Lacing. In addition, they offer improved distance walking comfort thanks to more progressive flex in the Pro-Fibre XT 20 midsole. In short, these are the hiking boots you need for when the going gets a little tougher. A technology-laden, fast and light hiking boot for those sun-soaked European breaks, the La Sportiva Stream GTX won’t weigh you down or break the bank. 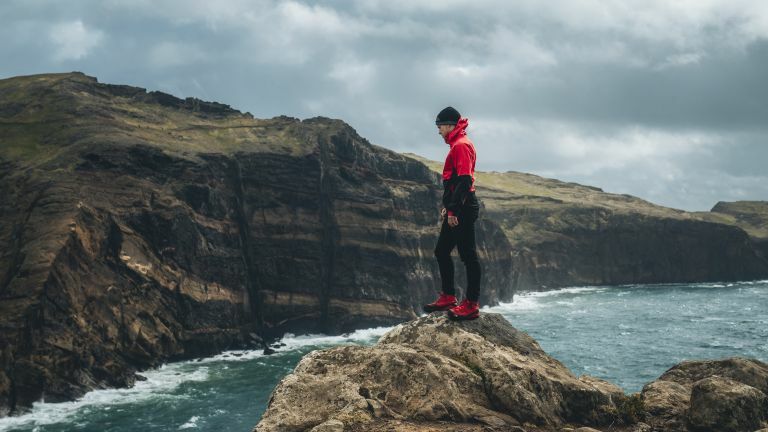 Designed to be highly breathable with a mesh outer yet waterproof with a Gore-tex inner, the Stream is for hiking fast and light in good conditions. That fast and light ethos is taken to great lengths, with La Sportiva even incorporating aeration channels into the midsole to augment the breathable upper, this boot is all about keeping your toes comfortable in challenging conditions. There’s a Vibram sole for grip, and stability control systems baked in, so the total package is more than capable of dealing with rough stuff in a hurry. France's Salomon is the Land Rover of premium quality yomping footwear, and the high-cut Quest 4D GTX has a fantastic set of features, making them ideal for backpackers and walkers of all kinds. What you get with the 3rd incarnation of the Gore-tex version of the Quest 4D is superb ankle support and gravity-defying traction, with a ContraGrip rubber sole that laughs in the face of mud and snow. The outer is sturdy as hell, though breathable, but the Quest 4D GTX is also surprisingly comfortable, thanks to a range of tricks gleaned from the best modern sneakers. Though designed specifically for weight-carrying backpackers, the Quest 4D 3 GTX is a cracking all-round shoe. An updated take on the classic walking boot, the Teva Arrowood is a surprise entrant here, and boasting a highly robust full-grain leather upper and Vibram soles, this is the 4x4 of walking boots. Less visible is the eVent membrane inside the upper, a highly breathable but waterproof layer that’ll keep water out but allow sweat out, and nylon shanks to stabilise your feet on rough ground and add stiffness on more challenging terrain. EVA midsoles and polyurethane footbeds round out the package. The Tecnica Forge brings a little something special to the usual footwear mix - and won a coveted outdoor award for it. In short, the Tecnica Forge is a solid enough 3-season walking boot, but with ski-boot technology in the sole and heel area that is thermo-formed to your feet using heaters and huge inflatable bags. The result of that performance art is well worth the effort, being moulded precisely to your feet there are fewer hotspots than a comparable walking boot, and with a deeper heel pocket than normal there's little heel lift either. A wrap-around overlap cuff instead of traditional tongue also minimises potential chafing. Blister free walking with no breaking in faffery is here - and very welcome it is too. An all new model, the Hoka One One Tor brings six years of running heritage to the hiking world in a highly technical package. Likely to be popular with the speedier end of the hiking community (Hoka One One athletes are regulars at the UTMB mountain ultramarathon), these are serious boots. Outsoles of Vibram MegaGrip with 5mm lugs are a statement of intent, while the company's Meta-Rocker geometry and midsole blend of EVA and RMAT material should provide underfoot comfort in spades. Very much at the technical end of the spectrum, the Ayako High GTX is designed to perform brilliantly as a summer mountain/scrambling/via ferrata boot, but those attributes make for an excellent hiking boot too. Protective of the ankle and stiff enough for mountain travel, but prehensile enough to feel and grip rock and scree, these are the pros choice. Mammut’s ‘three zone lacing’ pulls the heel into the rear of the boot, minimising the dreaded heel lift, as well as giving the toes room to breathe. Memory foam on the high cut ankle makes for a snug fit, while the ‘climbing zone’ on the sole of the toe provides more grip where you need it most. If you’re going on a long walk, comfort is, of course, a big concern. The Salomon boots featured above are hardly uncomfortable of course, but the Lowa Renegade GTX Mid Boot really pushes the boat out when it comes to keeping you hygge. Although it's not ideal for rough and rocky terrain, the Renegade GTX is a great choice for clocking up miles across hills and dales. If you are a keen hill climber, then the Keen Galleo (figaro, magnifico! ), will serve you well. Its PU heel cushion and EVA foam foot bed make them good for comfort and shock-absorbing when going uphill; and the rubber toe protects the feet when walking downhill. If some of the classic Gore-Tex and Vibram soled boots are slightly out of your price range, this could be the best men’s hiking boot alternative for you, as the sole and waterproofing technologies are designed in-house by Keen, helping to shave a few quid off the price. AKU's much-vaunted new Elica Natural Stride System comes in a new Alterra GTX boot and helps to disperse the pressure on your feet as you hike, so you don’t get achy points – such as heels and the balls of your feet – meaning you can walk in comfort for longer. An insole board and tread faithfully follow the anatomical shape of the sole of the foot and adapt to it for a natural heel and forefoot inclination, reducing impact and strain. The boot is designed for longer treks on more demanding terrain and a sock fit only adds to the comfort levels. These are also super rugged. As with all types of outdoor gear, you get what you pay for. The Scarpa Manta Pro GTX takes our best hiking boots crown because you can wear them through all four seasons, and they offer a superb fit. Get past the initial outlay, and look after them properly – clean off muck and re-waterproof them as directed – and they will last you years. For a budget step into the world of hiking boots, check out the Salomon Quest 4D 3 GTX. They're regularly on sale for a good price, and will see you comfortably through a range of trekking scenarios. If you're looking for something not quite as extreme as a hiking boot, check out T3's selection of the best walking shoes. Walking shoes are lighter and more comfortable than boots, but don't provide as much support. Now that you're all kitted out, why not check out our complete guide to hiking or list of the best hikes in Europe to start planning your next adventure?